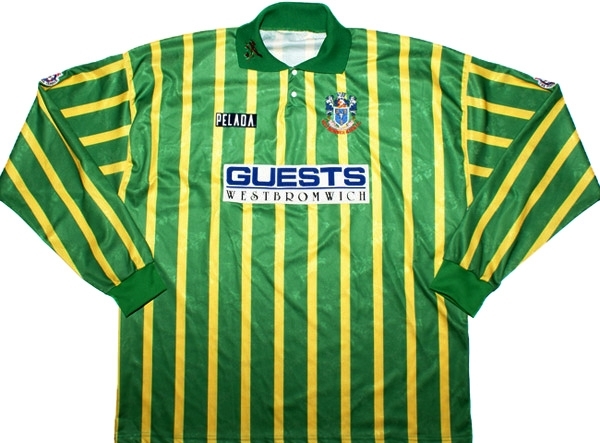 Denis Hurley, of the estimable Museum of Jerseys blog, has a pleasing wont for wondering what teams of the past might have looked like if they had gone with a different kit supplier, and then rendering it as an illustration. 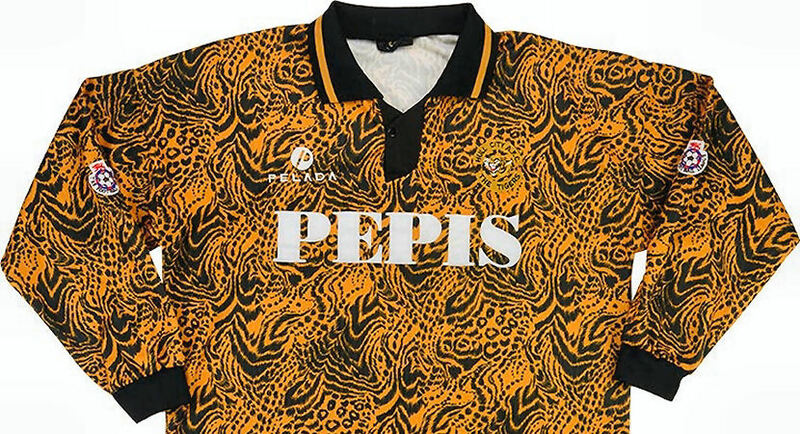 Recent Fantasy Kit Friday posts on the MOJ Twitter feed have shown us how Manchester United could have looked in Umbro templates in the mid 1980s and what Arsenal might have been given this season had they stayed with Nike. Look at that! 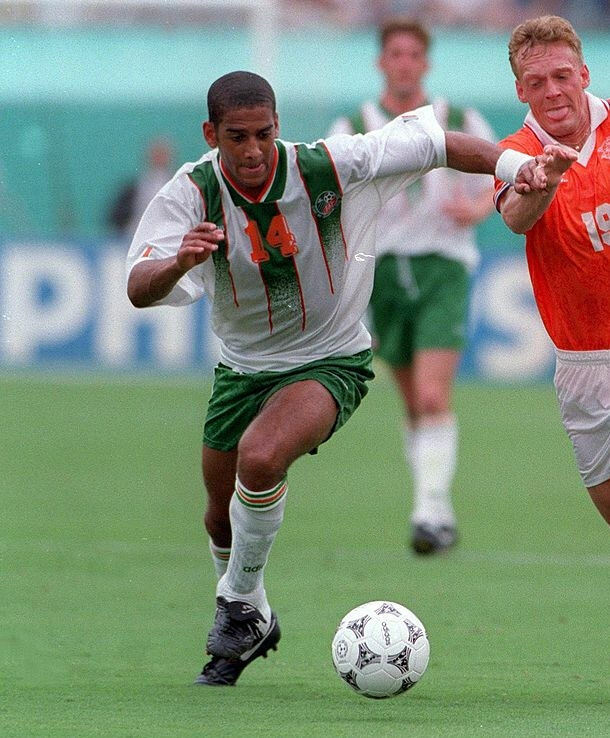 The home shirt riffs on a template used by Ireland at the USA ’94 World Cup, although the shorts are pretty much what Liverpool used on their away kit in 1993/94. 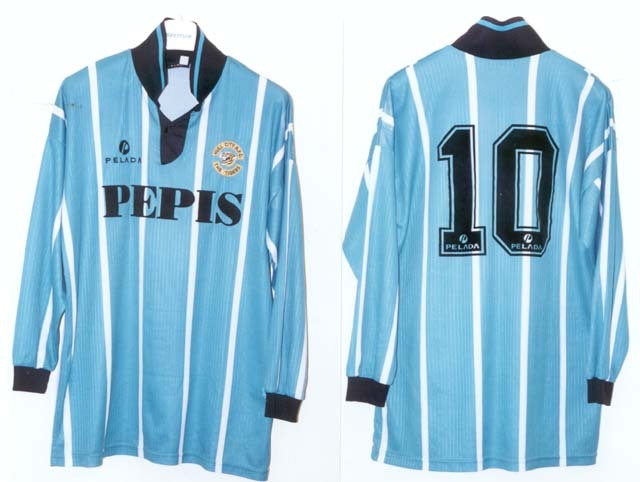 Hooped socks always get our hearts racing, marry those to a shirt with quasi-stripes and lots of amber as well as shorts with three stripe trim, and we utterly adore this kit. Damn you Martin Fish, why did you call Pelada? 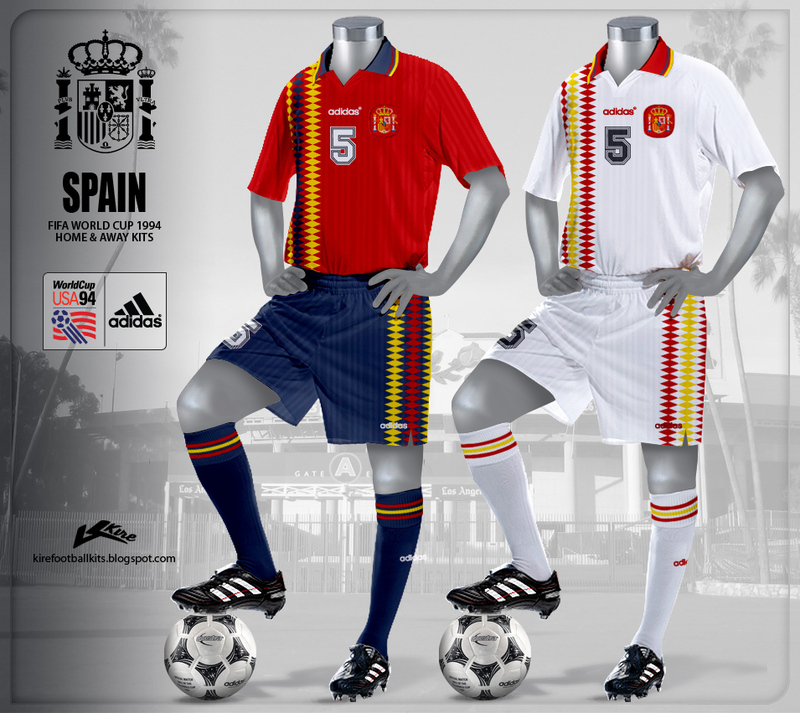 Denis also rendered an era appropriate away kit too, based on a template worn by Spain at USA ’94 that features 3 stripes made out of interconnected diamonds (I bet Umbro loved that!) It looks fabulous in City’s traditional change tone of all white with black and amber trim. Thanks for indulging us Denis!